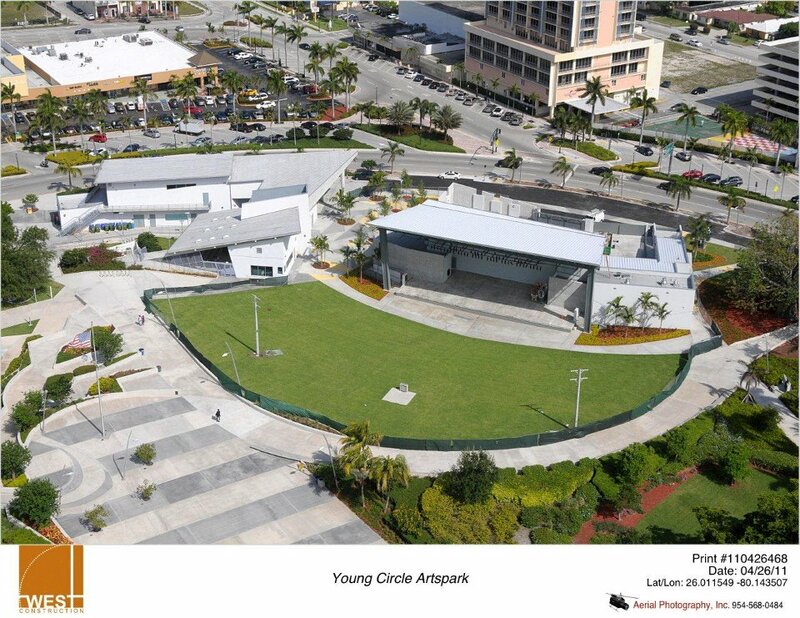 The Arts Park at Young Circle is located in a 10-acre traffic circle in Downtown Hollywood. Dedicated in March 2007, the ArtsPark offers residents and visitors a wide array of visual and performing arts themed educational, recreational, and entertainment activities throughout the year. Yes. Free parking is offered in the downtown district on Polk Street, Tyler Street, Hollywood Boulevard, Harrison Street and Van Buren Street between 17th and 22nd Avenues. Free on-street parking is offered for a 3-hour time limit in most areas between 8 am and 8 pm; and free parking anytime between 8 pm and 8 am. One hour time limit applies in some areas around Young Circle.